In a world full of waste nothing is environmentally friendly if it&apos;s based on creating new material! That&apos;s why I love people who take "trash" and recycles it into a product, especially if it&apos;s viable as a business modell. 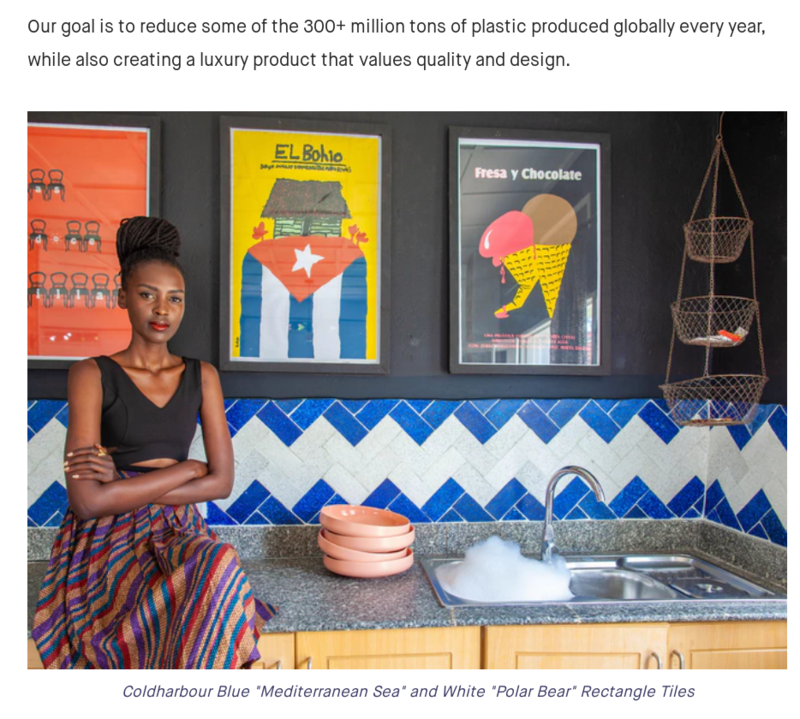 And that&apos;s why I&apos;ve pledged $50 to the fundraiser of #ColdharbourTiles – taking single use plastic before it ends up in the oceans and making useable tiles for the kitchen, bathroom or other places. And you should have a look at them too!